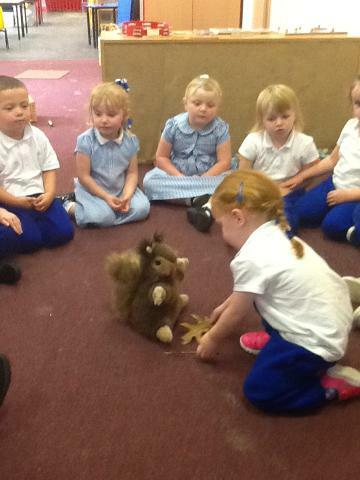 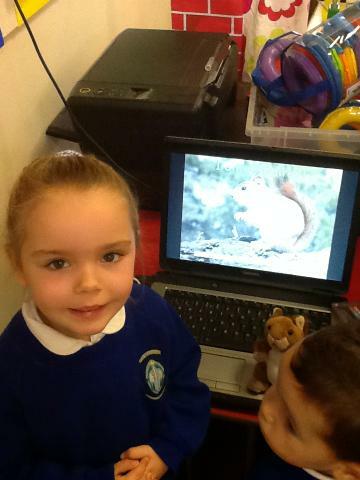 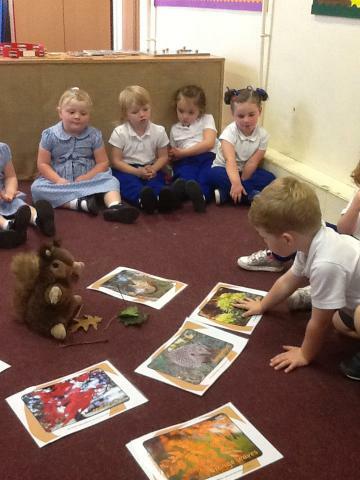 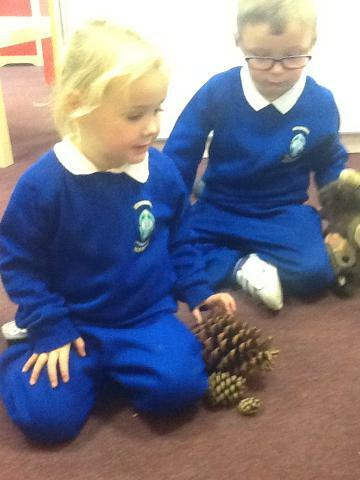 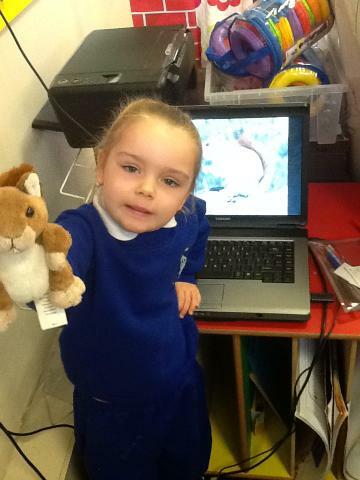 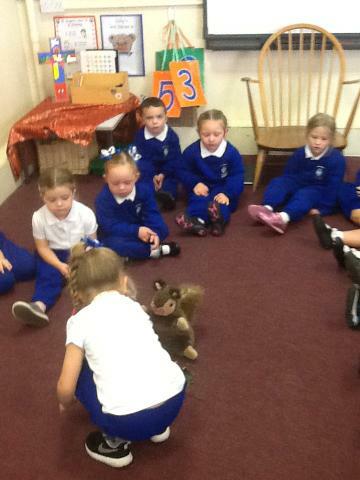 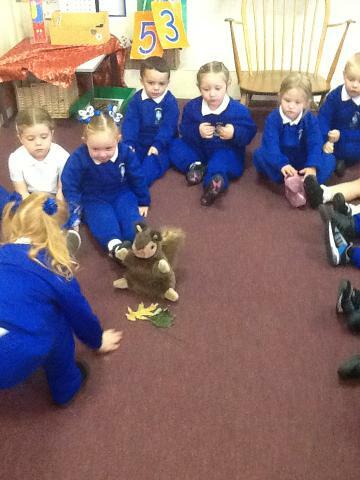 This week `Scaredy Squirrel` visited our class to talk to us about Autumn. 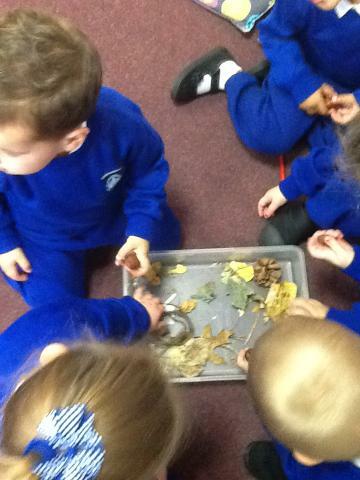 He brought some crunchy, colourful leaves in for us to have a look at and some shiny brown conkers. 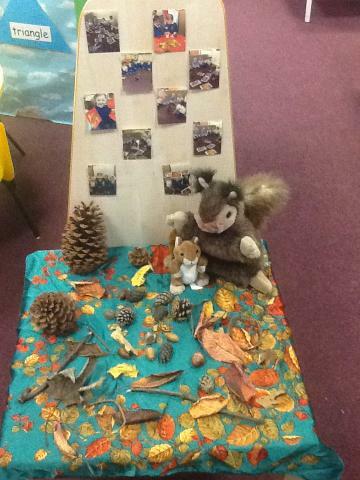 When we visited our Messy Room we were amazed to find that he had set up some exciting seasonal activities for us participate in. 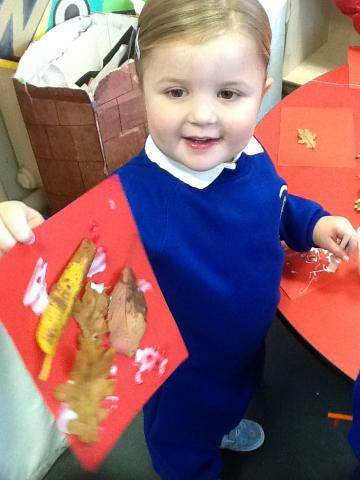 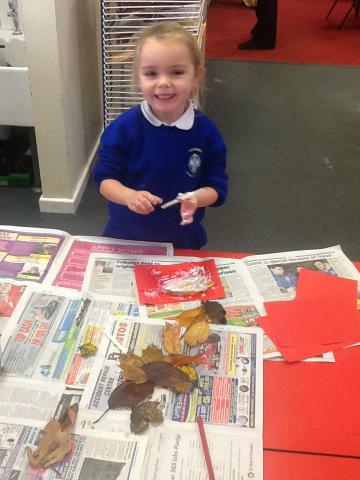 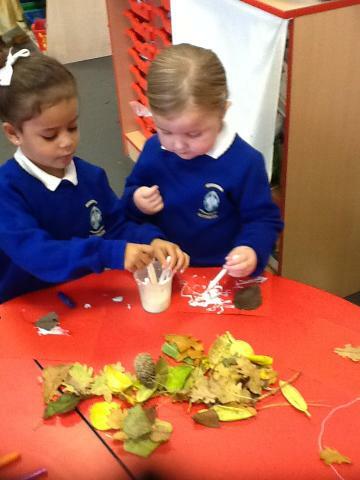 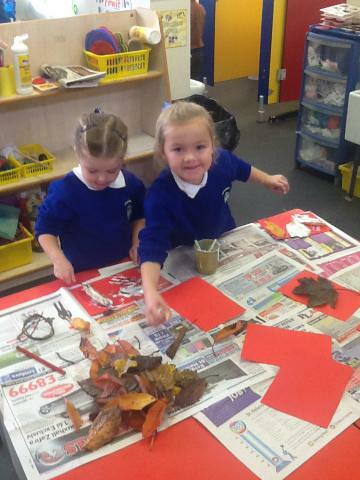 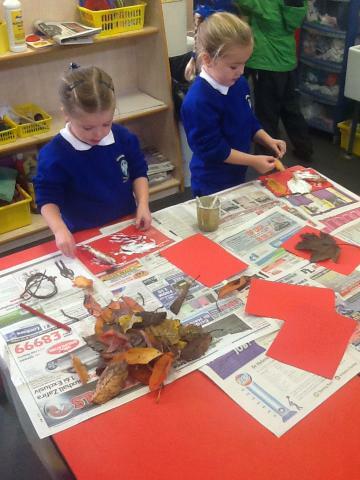 We had a wonderful time making Autumn crowns with natural materials, threading conkers and using crayons to make rubbings of leaves. 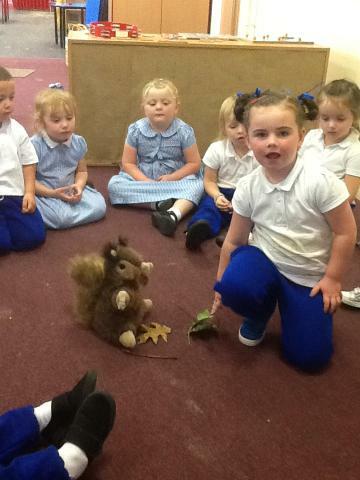 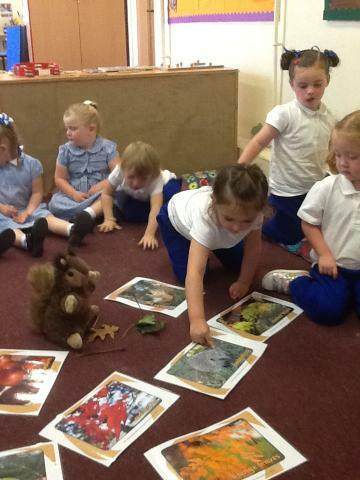 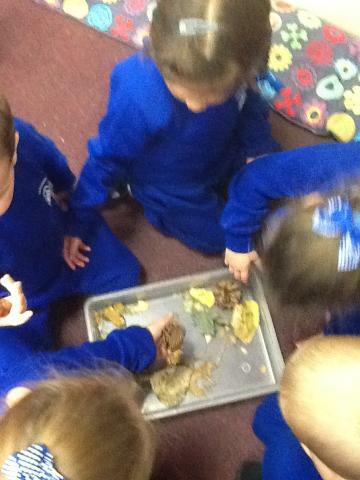 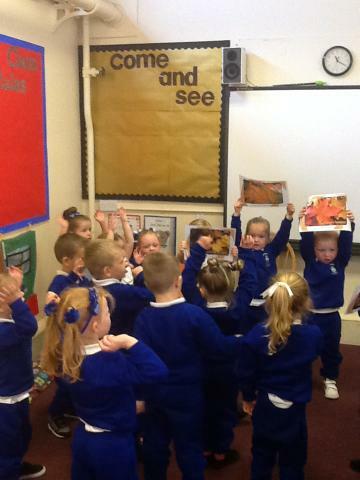 When we returned to nursery the following day baby squirrel and Mrs Gange kindly taught us an Autumn number song about 5 little leaves. 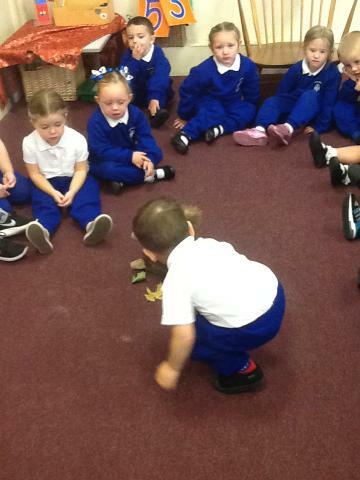 We had a great time preforming it to all our friends. 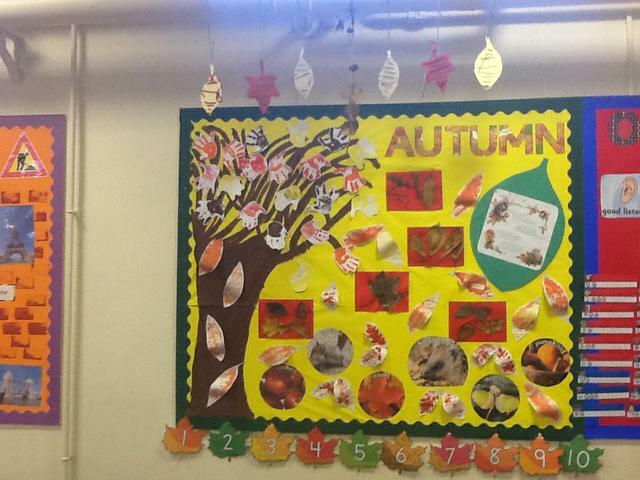 Unfortunately we had to cancel our `Autumn Walk` to Taylor Park due to the bad weather. 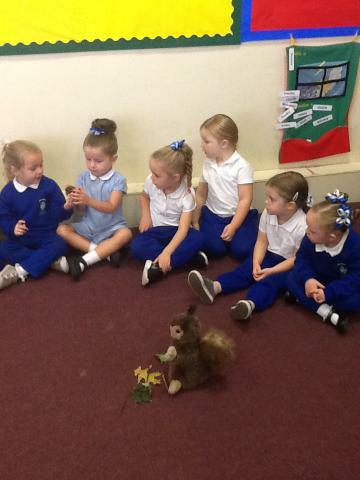 However we have rearranged the trip for Monday 20th October.